JP biedt maar liefst vier verschillende foilboards aan, van 105 tot 150 liter. De 105 en 120 zijn vooral bedoeld voor medium tot harde wind; twee superkorte designs met een iets smallere outline voor meer responsiviteit. De twee grotere maten maken foilen toegankelijk voor iedereen. De korte en brede shapes kunnen moeiteloos grotere zeilen dragen en hebben een grote windrange en een stabiele glide. De 135 is een allrounder, geschikt voor beginners tot experts, en kan ook met een gewone vin gevaren worden. De 150 is een echte racemachine, met een maximale breedte voor een optimale druk op de foil. 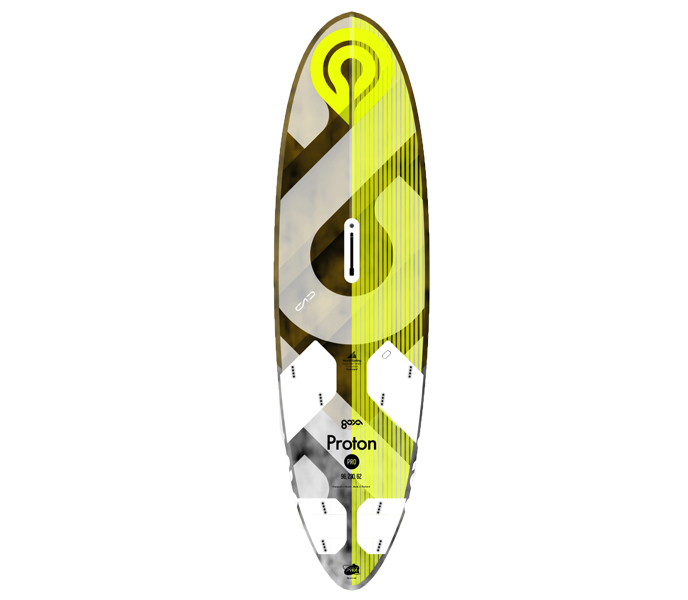 Our very short and exciting foil board models: For the new and latest foil developments as well as for more skilled riders we developed the right tools to explore new boundaries in this segment of the sport. These medium to strong wind hulls are based on Werner Gnigler’s experience of the two generations of all-round and light wind performance foil boards. According to their use in stronger winds, they are designed with control in mind. Super short, these designs also feature a parallel outline and a wide tail and keep the swing weights to a minimum. Narrower than their big brothers, they provide a more centred stance and a more responsive feel. Thus, these sensitive Hydro Foils are great fun in stronger winds when used in combination with small sails. All these models take in consideration the different riding position and the aerodynamic behaviour of the boards. The streamlined shapes create minimum resistance in the air which gets more and more important the stronger winds gets. Gusts won’t affect the ride. And once airborne, the perfect trim, the balance and the secure ride are the key to success. The flat deck shape and the ideally positioned footstraps make for an upright stance helping to easily control the power of the foil which guarantees an amazingly stable flight. The well pronounced V-angled nose bevels in combination with a V- shape in the front of the bottom smoothens the touch downs in cases when the foil catches air between the chop and momentarily loses lift. The noses won’t dig into the water but will bounce back off the surface and will keep you flying. Also the tail cut-outs reduce drag in cases of touch downs which otherwise may be harsh in stronger winds. 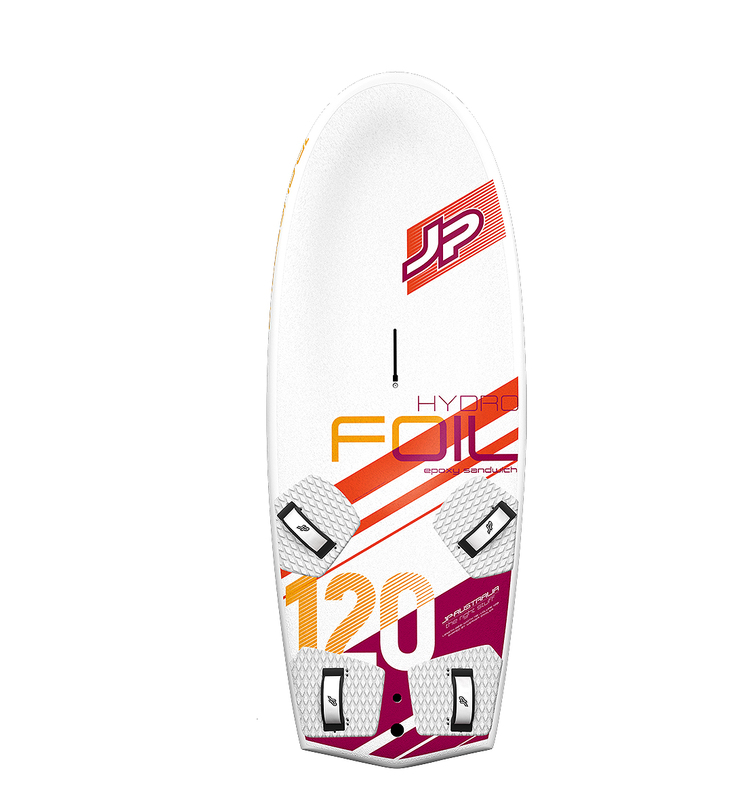 JP was one of the first leading windsurf brands to introduce specialized boards for foiling and now we extend the range to 4 shapes in various technologies. Here are the two big boards in the foil board range: the 135 and the 150. The goal is to make flying over water easy, accessible, fast and fun for everyone. Especially these two big boards are optimised to get going already early and to carry big sails in order to extend the light wind range of use. The short and wide designs feature a lot of volume, a parallel outline and a wide tail to provide a stable glide: This combo lifts the boards out of the water early and keeps them balanced when up in the air. The tail cut-outs reduce drag before starting to fly or when touching down. 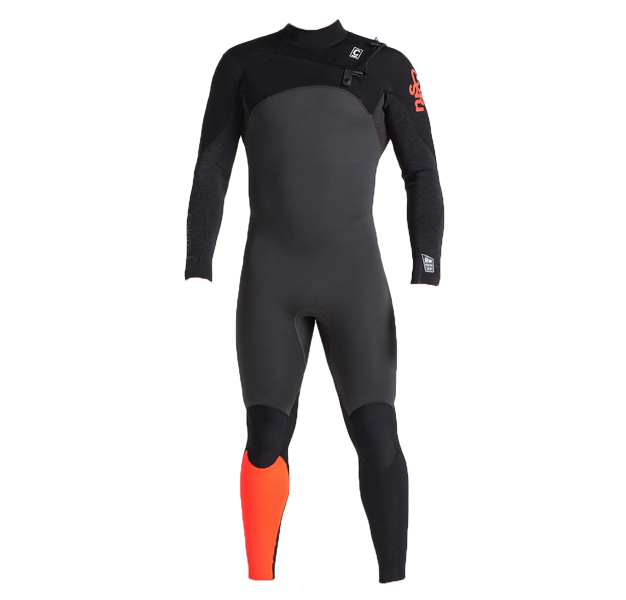 The steady nose rocker combined with a soft tuck line in the front make for a smooth and forgiving entry once the nose comes down on the water. This is essential, as many beginners tend to nosedive. The noses don’t dig into the water but will bounce back off the water and you will keep flying. 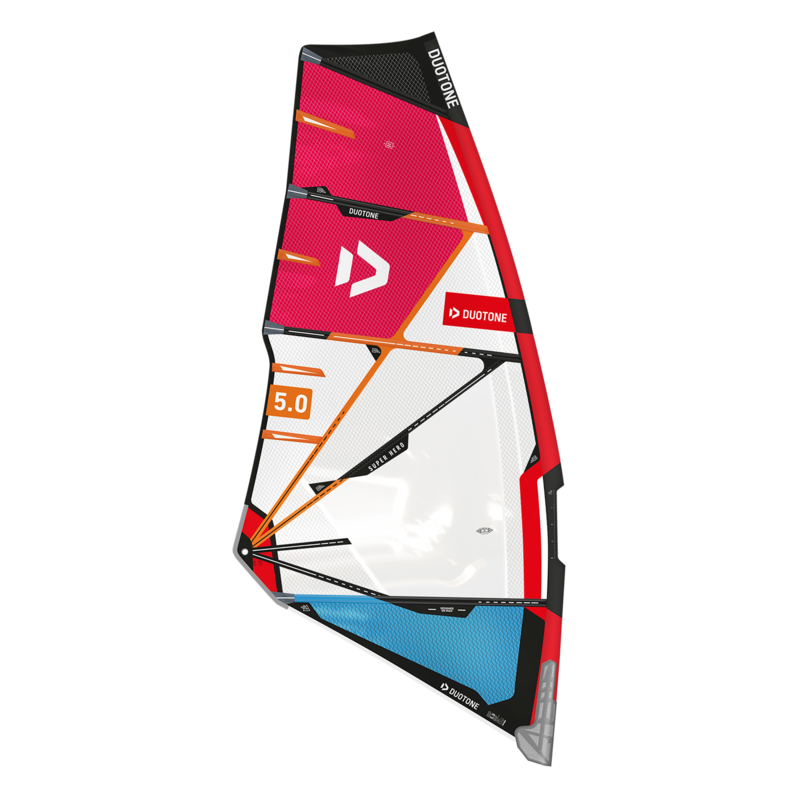 The flat deck shape and the ideally positioned footstraps make for an upright stance, the power of the foil can be controlled easily which guarantees an amazingly stable flight. HYDROFOIL 135: The proven all-rounder makes foiling easy and accessible for everyone. Racers benefit from the wide and efficient tail. It covers a very wide wind range. Its nose stays low when flying, so the board is very easy to control. The 135 also works well with a normal fin and feels like a shorter and narrower version of a Super Lightwind and is almost as fast. HYDROFOIL 150: Designed according to the regulations of the PWA racing rules this JP racing machine provides a large, wide planing area for maximum leverage to the foil, supporting the use of bigger sails for early take-off and higher top speed, thus performing already in light wind and enabling extreme up- and downwind sailing. The new V-angled nose bevels clear the rail from touching the water when pushing down the windward rail when sailing upwind. You can easily keep the board tilted and load additional lift to the foil for more acceleration and speed. The additional inboard tail straps help to control your flight over chop on deep downwind courses.